The red grape variety comes from France, There are over 80 Synonyms that bear witness to the high age and worldwide distribution of the vine. The most important are Auvernat complexion, Blood grape, Bourguignon Noir, Därbertraube, Gros Noir, Moreau, Neraut, Nerone, Noir d 'Orleans, Plant d'Espagne, Pontac, Pontack, Pontiac, Ruby grape, Tachard, Teint-Vin, Teinturier, Teinturier à Bois Rouge, Teinturier Mâle, Tintentraube, Tintenwein, Uva Tinta and Vin Tint. It may, despite seemingly suggestive synonyms or morphological Similarities do not match the varieties Pinot Teinturier. Tinta Francisca (Teinturier Mâle) or others Teinturier varieties be confused. The very old variety was possibly mentioned as early as 1564 in a work by the agronomists Charles Estienne (1504-1564) and Jean Liébaut (1535-1596) under the name Neraut. Under Teinturier or Plant d'Espagne it was called in 1667 as a variety in the area of Orléans (Loire), where it was used as a colorant for blends. According to one hypothesis, it should possibly come from one wild grape have been selected. According to the Swiss biologist dr. José Vouillamoz carried DNA analysis in recent times there is one Parent-offspring relationship to the variety Savagnin Blanc ( Traminer ). Accordingly, would be Pinot a "grandparent", which in turn is the synonym Auvernat complexion would explain. The French breeder Louis Bouschet in 1824 conducted intersection Aramon Noir x Teinturier du Cher with the result Petit Bouschet is considered one of the first successful new breeds and was the starting point of many other dyer grapes. The variety Teinturier du Cher is thus regarded as the starting point of almost all Teinturier varieties. She was also crossing partner for the often also valid as dyer grapes new breeds Aspiran Bouschet. Bouschet Gros. Cabernet Mitos. Deckrot. dark fields. kolor. Palas. 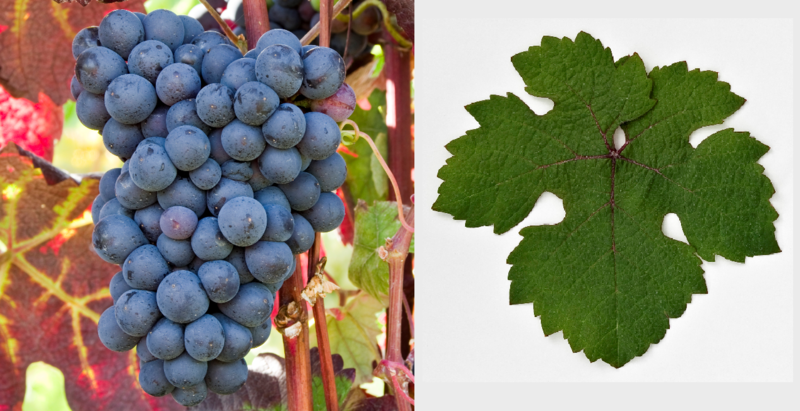 Pervomaisky and Petit Bouschet, The early ripening vine provides colorful, tannic Red wines. In France, she no longer plays a role today. Already in the 17th century she was in South Africa introduced. At that time there was in the Bordeaux a well-known winery of the family de Pontac, where probably the synonym comes from. She was for a variant of the historic sweet wine Constantia and used for wines in port wine style. After phylloxera At the end of the 19th century, it was increasingly replaced. Today it is grown in only small quantities by a few producers, for example Lost everything ( Swartland ) and Little Constantia, In 2010 were only for Portugal ( Beiras. Ribatejo ) 7 Hekter Rebfläche reported (Kym Anderson ). This page was last modified at 27 March 2019 at 16:57.